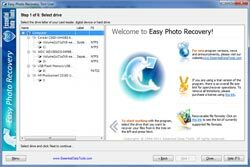 Easy Photo Recovery guarantees safety of your photos and videos. Modern digital cameras and flash cards allow rewriting photo and video files many times and sometimes important files can be deleted or lost by mistake. 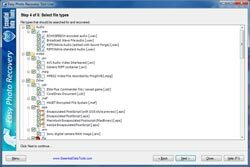 The program will help you to restore deleted or unreadable photos and videos at once. 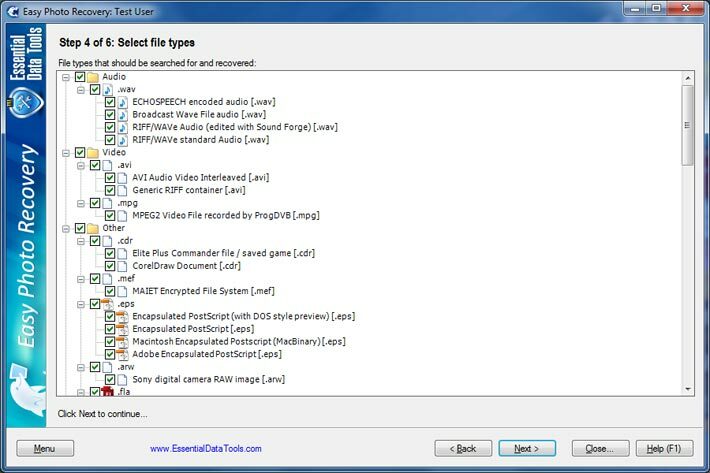 * The programs are also capable of finding and recovering files of any type by fast analysis of the file system structure. Easy Photo Recovery is shareware. If you would like to use all its features a registration is required. 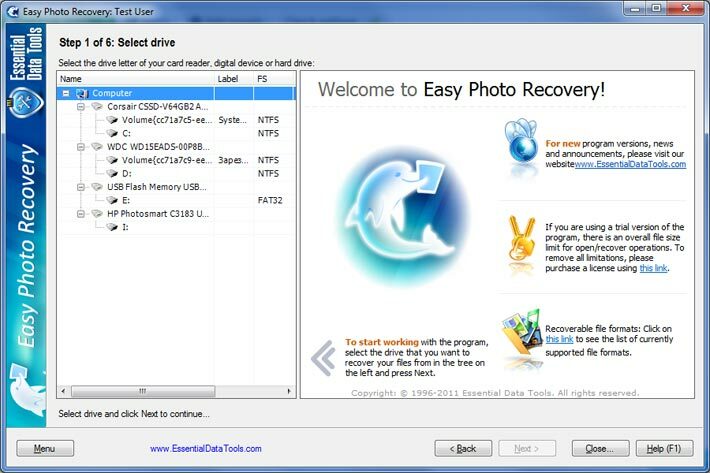 You can order the fully licensed version of Easy Photo Recovery over the Internet with any major credit card. Thank you for great software! There was no easier way to salvage photos of my childrens holidays I thought were lost forever! Also, I am very impressed with the customer service I received from your company. Thank you!